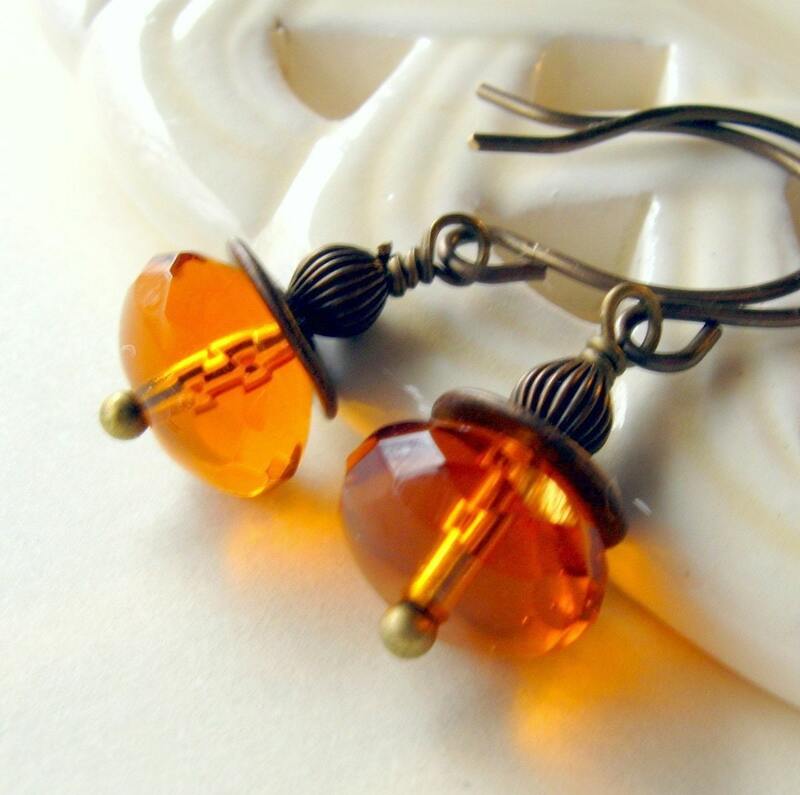 Golden Topaz colored faceted glass gems were layered with different brass bits for texture. The earrings are on handformed brass fish hook style earwires. They can be swapped to leverbacks or kidney wires free of charge. The color is a softer shade of golden Topaz than pictured. For some reason, the photograph came out differently. Over all the earrings are around 1.5 inches long. The brass is made of copper and zinc, both elements in the human body. Most people find they are not allergic to brass. The most common jewelry allergy is to nickel The brass in my shop does not contain nickel or lead. The earrings comes in a ribbon wrapped white gift box shipped inside a secure padded mailer. Your jewelry was made with quality materials and has a 90 day warranty during which free repairs will be made. Returns accepted for 7 days. Please contact me for a quote on insurance and shipping upgrades if needed.